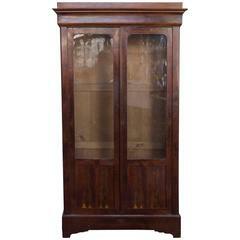 19th century French, walnut bookcase with original locking glass door. The inside depth of the piece is 12.5 inches and has two shelves. Additional shelves can be reproduced if needed. 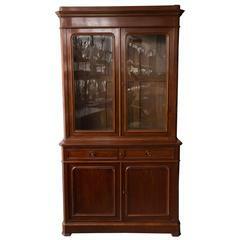 Overall, this piece is in very good condition with no finish restoration needed. There are a few imperfections such as a minor chip to the corner of the top molding and a couple of thin splints to the wood grain on one side of the shelf (shown in images). Sold as is. There are a few imperfections such as a minor chip to the corner of the top molding and a couple of thin splints to the wood grain on one side of the shelf (shown in images). 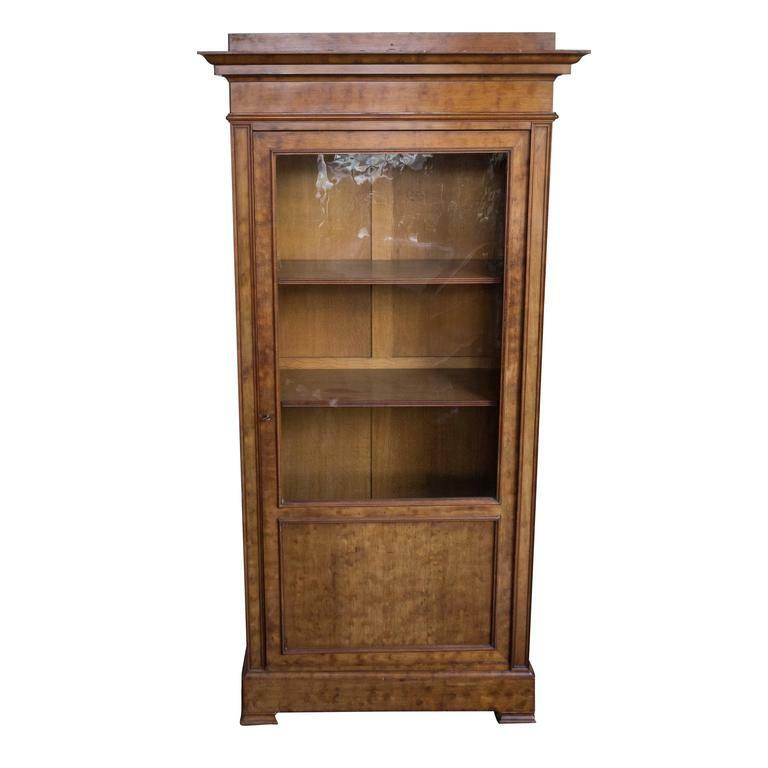 Small French Louis Philippe 19th century mahogany bookcase. 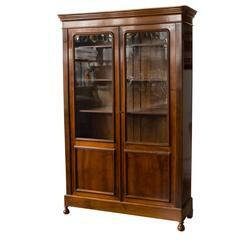 French 19th century mahogany bookcase. The upper section has original glass doors. The lower part has solid doors. Both sections have shelves.